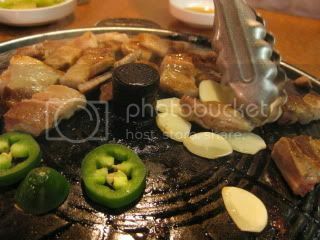 I've been dining a lot in Koreatwon past weeks. These are among top of my list. 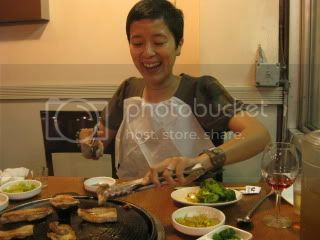 Ham Ji Park (I've been to 6th St. location) reminds me of a lively dining in Seoul. 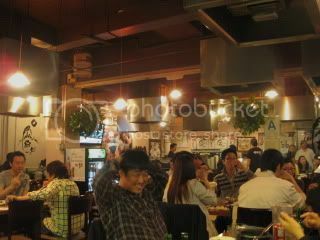 The place is packed with mostly local as well as ex-pat Korean people. The service is always so friendly and nice. On my first visit, I tried their Kamjatang (pork neck meat stew), which was really delicious. 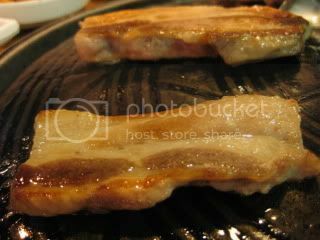 Last time, we did Samgyeopsal (pork belly BBQ). 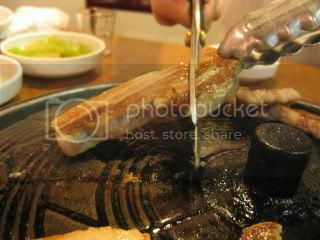 The meat was from Cheju island. Cod roe stew was also very satisfying. This is a kind of place I want to go back over and over. 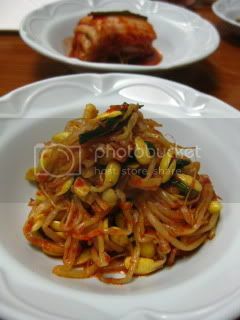 I also enjoyed Olympic Cheonggookjang. This place is more like a small diner. There is no alcohol. You can't byob either (sad). But the food is outstanding. 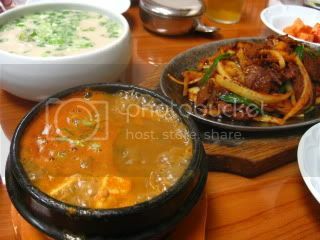 Their banchan (small dishes) are at their freshest quality. 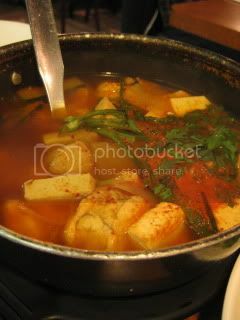 Their signature cheongookjang (fermented soy bean stew) was the best I've had. 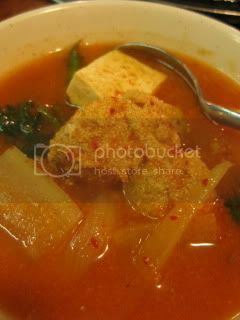 I also loved their beef tendon soup...just packed with rich collagen!